Wondering how to cook the perfect egg? It requires skills and practice. Some may find it hard to believe, but the truth is that it actually requires following the right techniques, especially for sunny side up. Aside from the proper way of cooking egg, there is another thing that will prove to be critical – the use of the right pan. It is important for the surface to be nonstick and for such to remain in its best state even with prolonged use. Are you on the lookout for the best egg pan? For sure, it is not going to be easy! With the multiplicity of the options, it will be a big challenge to make the right pick. If you are looking best omelet pan to fry egg, keep on reading and learn more about five of the best models that are available in the market today. In looking for a pan that can be best for cooking egg, this should be on your list. One of its best features is the lifetime warranty. At any given point, if there are problems that are experienced or defects that are not due to your negligence, you can have it returned to the manufacturer. This egg pan is also exceptional when it comes to versatility. 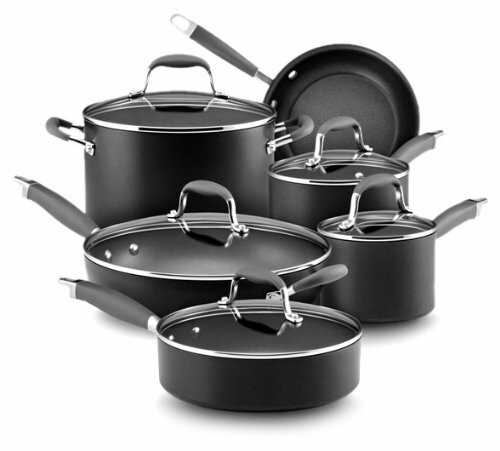 One of the things that many people loved about the pan is the fact that it is safe for all cooking methods. 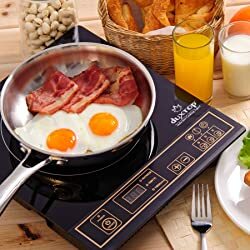 Even if you use an induction cooker for your egg, this can be a perfect choice. The Thermo-Spot Technology is one of its most distinct features. The spot will show if the pan is already perfectly hot. This is going to be an indication that you are ready to put the egg in the pan and have it cooked. It is also impressive because it comes with a stainless steel base. With the latter, heat will be distributed evenly in the pan. This means that all portions of the egg will be cooked to perfection. For those who are searching for egg pans with affordable price, this should be on the top of your list. It is economical, yet it does not fall short in terms of features that make it impressive. Do you want to have a professional-grade pan? If yes, this is the right choice for you. It is made from 3003 aluminum alloy, which is known for its durability. Even with extended period of use, its best quality is going to be retained. The double layer nonstick interior is also a feature that is worth noting. Thinking of another good reason to consider buying this egg pan? It comes with 30-day money-back guarantee. This means that within a period of 30 days, if you are unhappy in any way with the product, you can have it returned and you will be provided with an unconditional refund. It is also excellent when it comes to ease of cleaning. It is dishwasher-safe. There will be no buildup of oil and gunk, making it easy to have it maintained. The even heat base of this egg pan is one of the features that gives it a distinction above others within the competitive landscape. This means that there will be no burnt spots on your egg. All parts will be cooked the right way. When it comes to safety, this is also an exceptional pick. It is made using chemical-free components, which means that it is going to be non-toxic. There is no risk of being exposed to harmful chemicals. The small size of this pan is also a good thing. It is perfect for cooking one egg at a time, making it an excellent addition in the kitchen. The ergonomic handle is another feature that is worth noting. It is designed in such a way that it can be gripped easily. 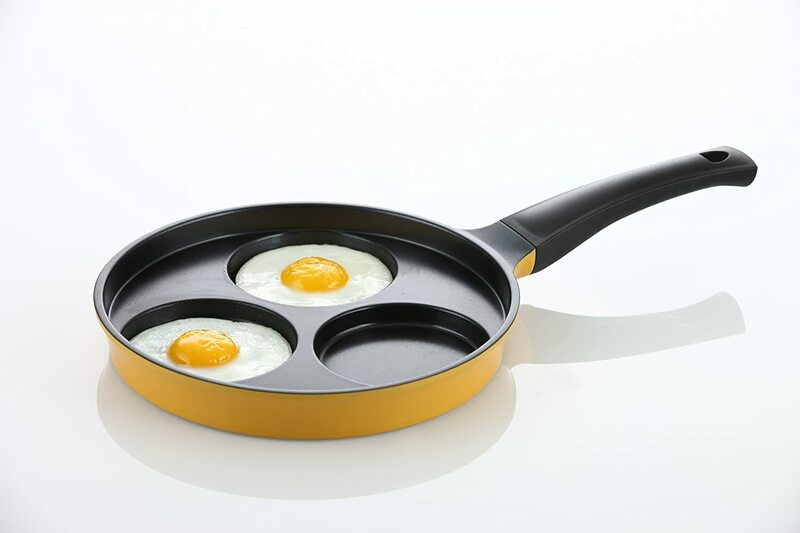 Your mornings will surely be brighter with this easy-to-use egg pan. Making eggs should never be a difficult task. At all times, your eggs must be perfect. This pan will make it possible. It is designed specifically for eggs and pancakes. Aside from making perfect eggs, it has also been given words of praises by many people because it comes with durable construction. From the interior to the exterior, it is made with the use of high-quality products that are hard to match. It is also an environmentally-friendly pan. It is made from coating materials that do not contain toxic compounds. With this, there should be no worries as it will definitely not have a negative impact on your health. The exceptional heat retention and distribution should also be emphasized. This is one of the most important things when you are cooking egg. It will make sure that all parts will be cooked right. 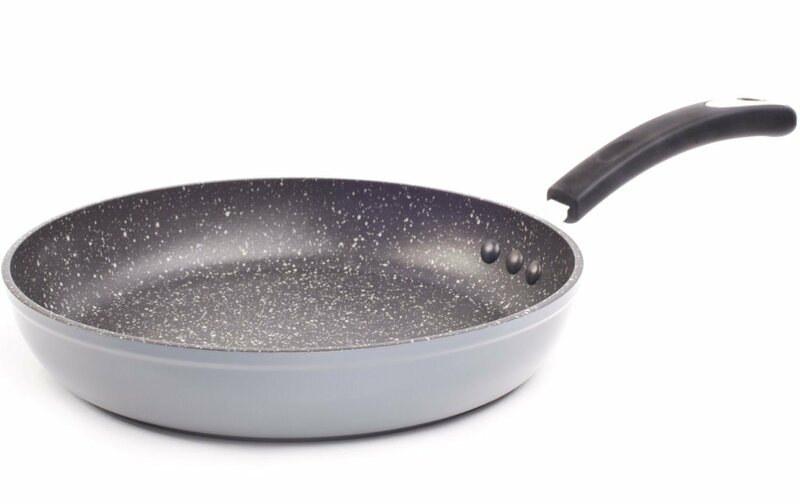 Among other things, the natural stone-derived coating of this pan is one of its most impressive features. When cooking eggs, even with minimal oil that is used, you can be sure that it will not stick on the surface. The die cast aluminum that is used in the pan is another reason to have it chosen above other choices. If you want a pan that can withstand many years of use without negatively affecting quality, this is surely an option that you will not regret. The silicone handle is well-designed and contributes to the comfort of the user. Have you ever tried cooking egg and you ended up burning your hand because of holding a hot handle? This is not going to happen with this pan. It is a pan that is going to be good for healthier cooking. There is no need to be guilty even if you cook egg often. One of the reasons is because the amount of oil used will be lesser. In addition, it is also free from toxic components that could possibly harm your health. 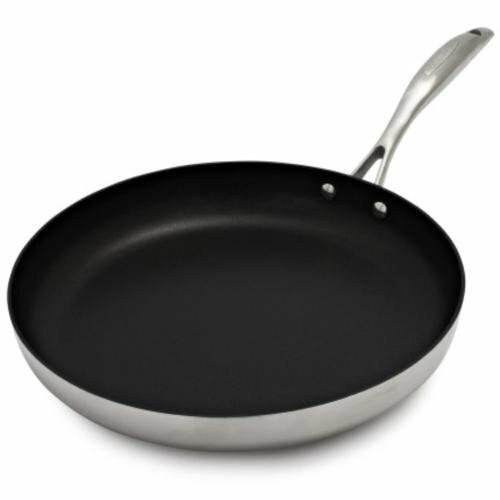 If you are searching for the best egg pan, keep in mind the brands and models that we have earlier mentioned. Whether you are cooking omelet or sunny side-up, the best pan to cook eggs will surely prove to be amongst the best. They are made by some of the most trusted names in the product category and they have also been given words of praises by their users, providing you with the assurance that they can deliver the highest level of satisfaction when you are looking for the best pan for eggs.